Hot crispy toast for the entire family! Combine ultra-urban stainless steel with modern digital technology and you get the Sigma 4 slice toaster. The Sigma toaster has a cancel/stop function and adjustable browning control & defrost function for easy usage. Bread centering and wide slots for thick or thin slices and removable crumb tray gives you no mess no fuss with the Sigma toaster. 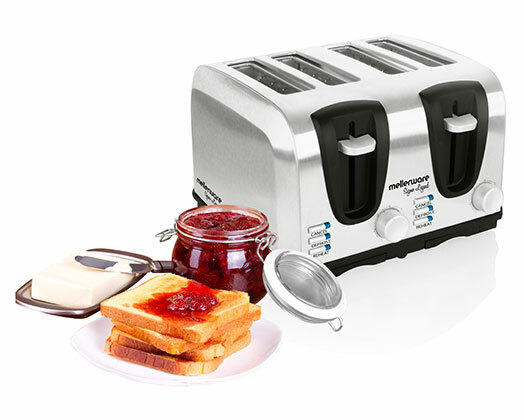 The hi-lift function makes getting your fresh hot toast easy with the Sigma toaster.